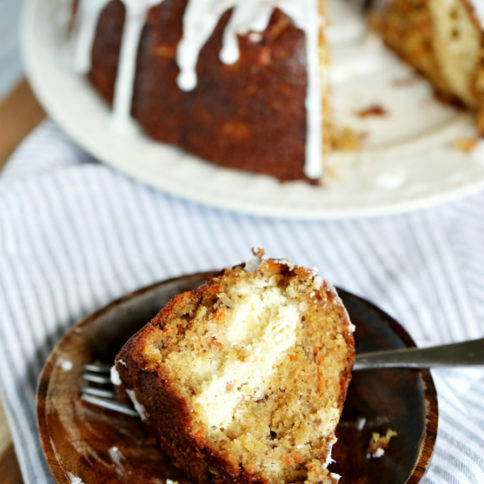 Way more than just carrot cake. Every year as Easter draws near, I get in the mood for carrot cake. Must be the Easter Bunny that puts it in my head. But of course, I can never just make a recipe the same old way every year. 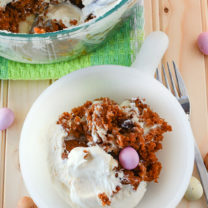 So I keep trying new twists on carrot cake, like my Carrot Cake Cookie Cups and Carrot Cake Easter Trifle. So this year, I got to thinking about what I could do to spice up this Easter favorite, and I hit on the idea of turning it inside out. 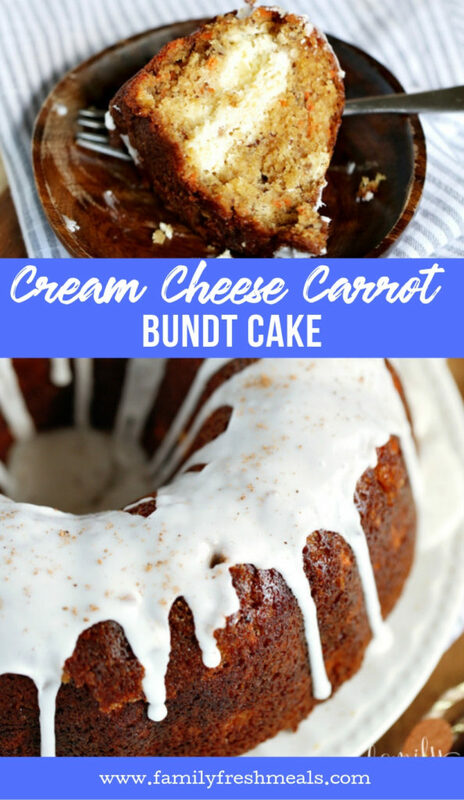 Instead of putting the classic cream cheese icing on top, put it inside the cake, and bake it in a Bundt pan. 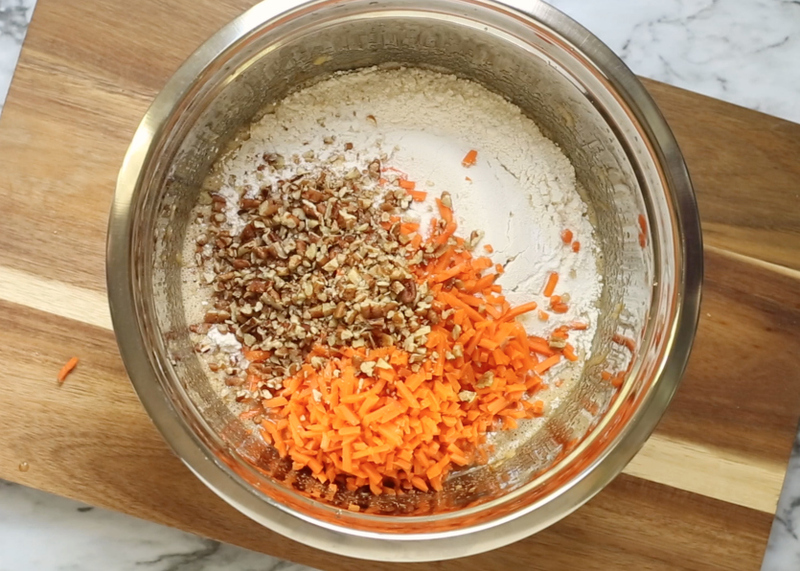 Now, most of my carrot cake recipes use a mix. This was my first time making my own from scratch, so I spent a lot of time tinkering with the batter to get it perfectly moist and tender. 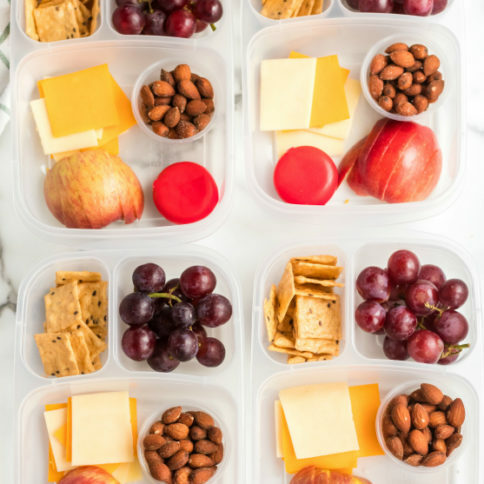 The secret ingredient turned out to be a half-cup of crushed pineapple, which adds a juicy sweetness and just a hint of fruity flavor. 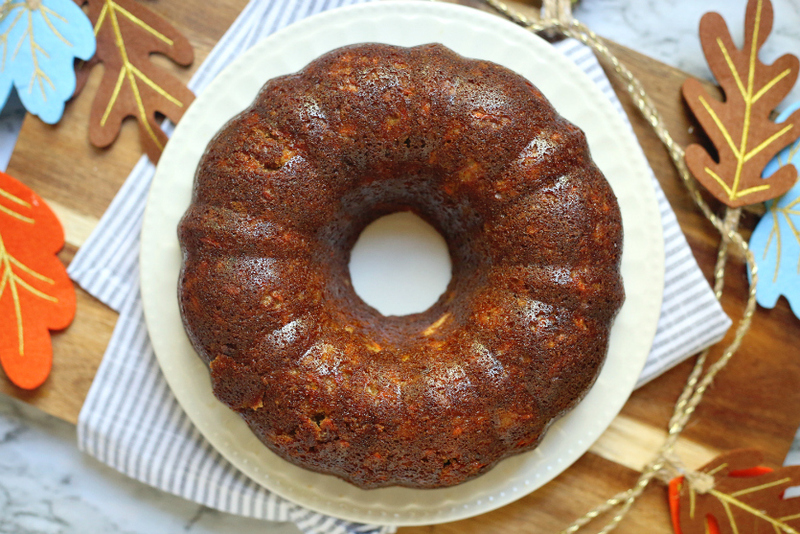 With that perfectly moist carrot cake wrapped around a tangy-sweet cream cheese center, all topped off with a drizzle of sweet vanilla glaze, this Cream Cheese Carrot Bundt Cake may just be my finest carrot creation yet. 1. Blend together crushed pineapple, brown sugar, eggs, vegetable oil, vanilla, and cinnamon with an electric mixer until smooth. 2. Gradually add in flour, baking powder, and baking soda, mixing until blended. 3. 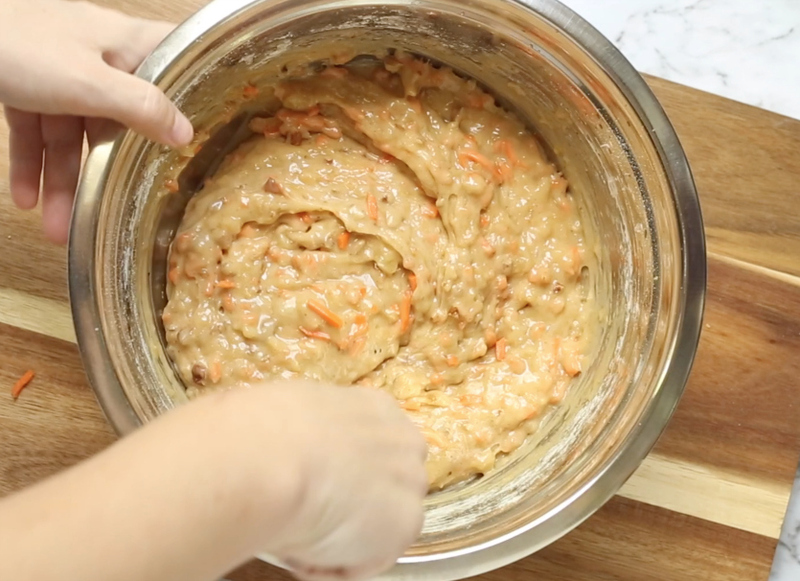 Stir in shredded carrots and pecans by hand and mix thoroughly. Set aside. 4. 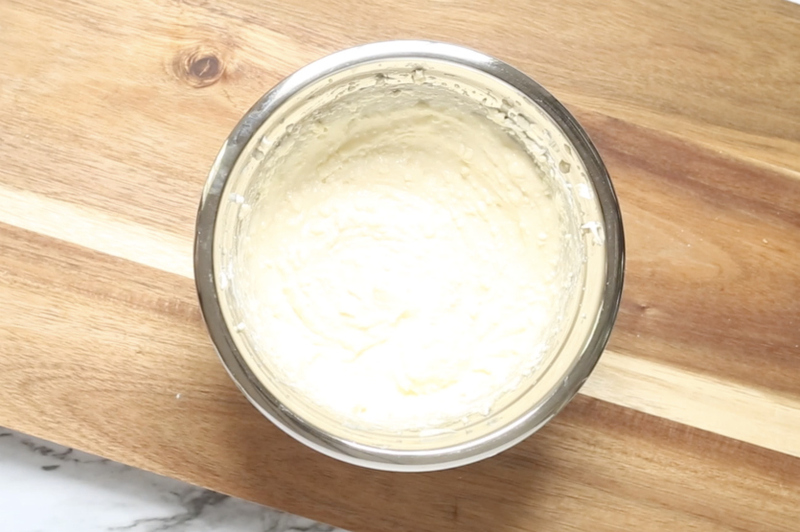 Blend together cream cheese, sugar, vanilla, and egg for your filling, set aside. 5. 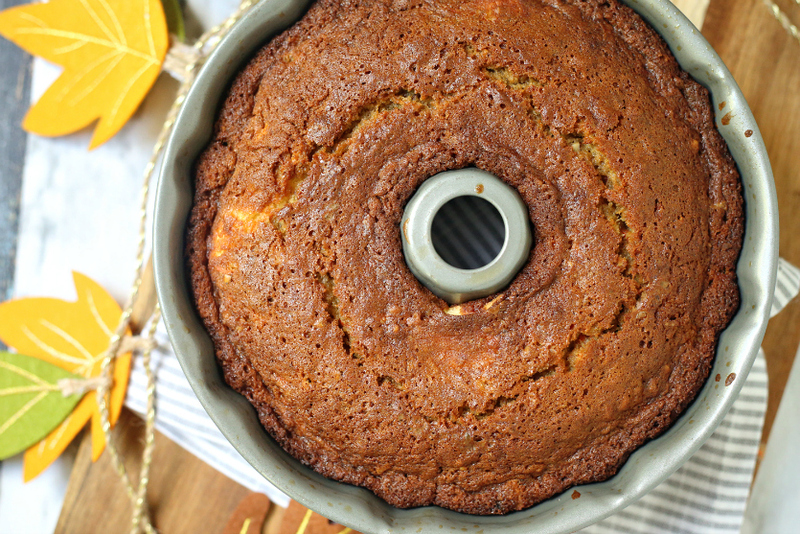 Spray a bundt pan with nonstick, then pour half your cake batter in it. 6. Next, drop in in all of your cream cheese mixture by spoonfuls, and swirl with a knife to give a marble look. 7. Top with the remaining cake batter. Bake at 350 degrees for around 50 min. **Check after 40 minutes, and if the crust is getting too browned, if it is, cover with foil. 8. Let cool 15 minutes before inverting onto a serving dish once it is fully cooked. 9. 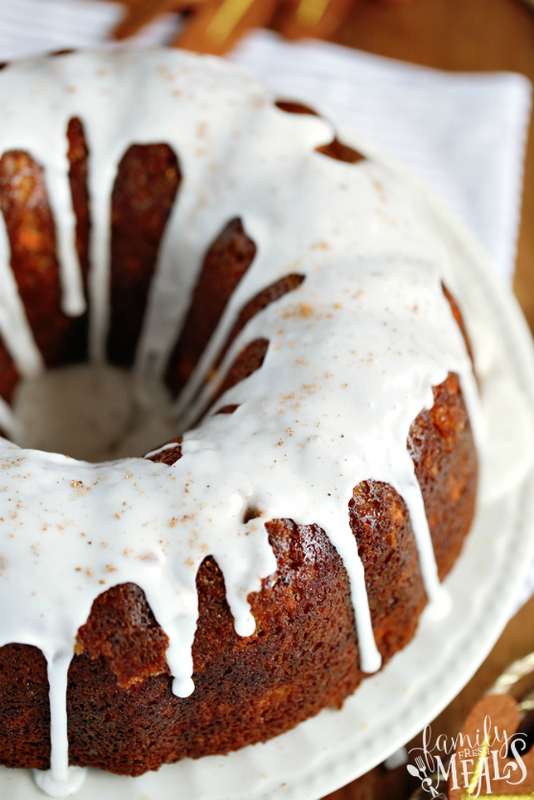 Mix together 2 cups powdered sugar with 2-3 tbsp milk, and drizzle on top of cake as desired. 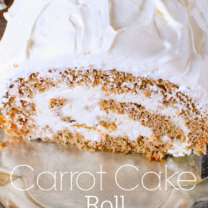 Hope you enjoy this Carrot Cake Recipe! 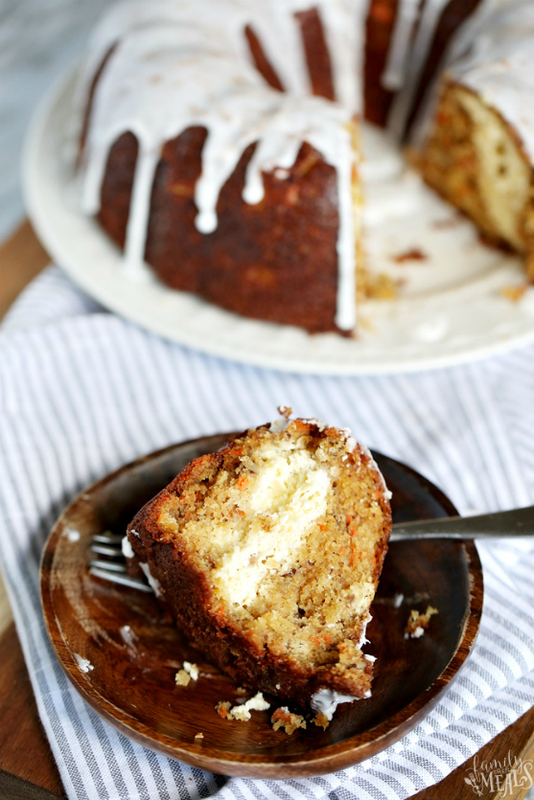 This Cream Cheese Carrot Bundt Cake may just be my finest carrot creation yet. 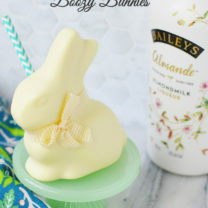 It will be your favorite Easter dessert this year! 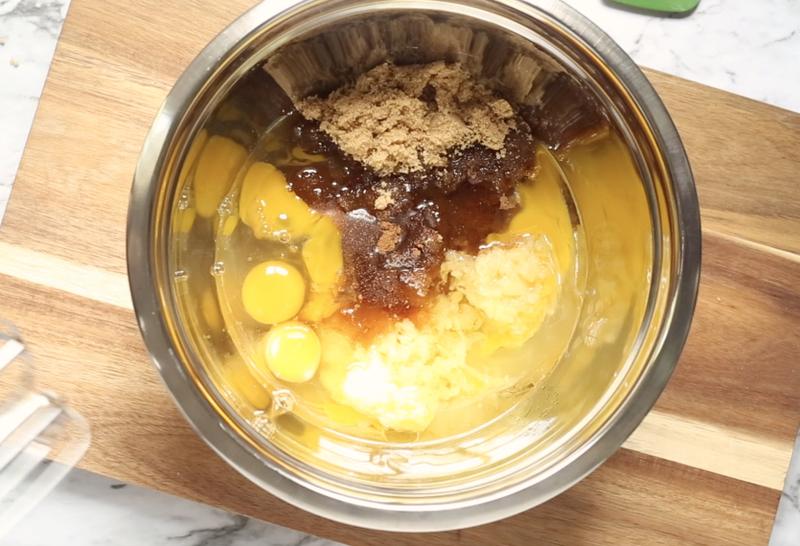 Blend together crushed pineapple, brown sugar, eggs, vegetable oil, vanilla, and cinnamon with an electric mixer until smooth. Gradually add in flour, baking powder, and baking soda, mixing until blended. 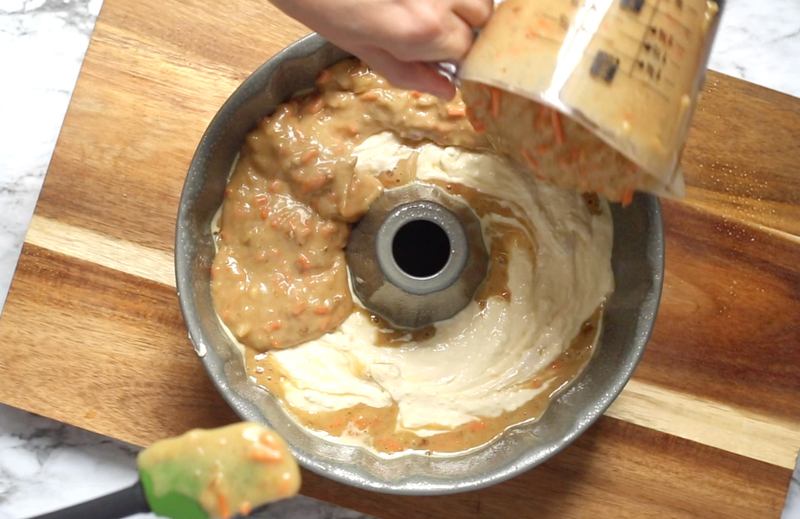 Stir in shredded carrots and pecans by hand and mix thoroughly. Set aside. Blend together cream cheese, sugar, vanilla, and egg for your filling, set aside. 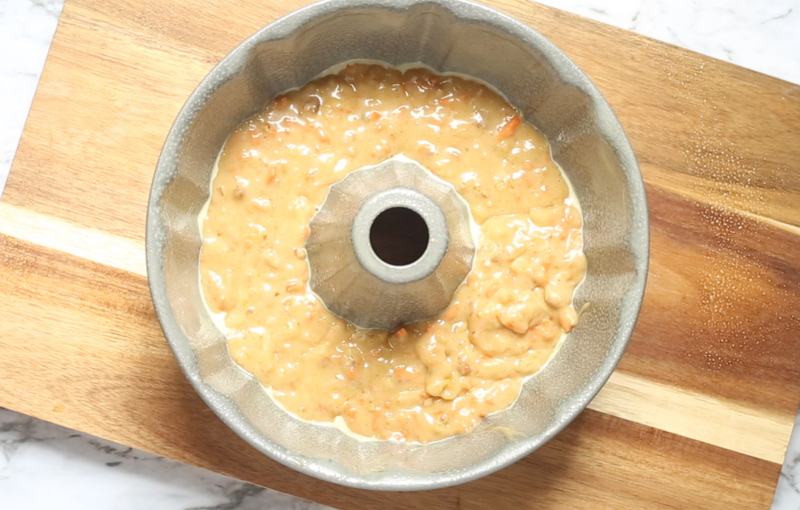 Spray a bundt pan with nonstick, then pour half your cake batter in it. 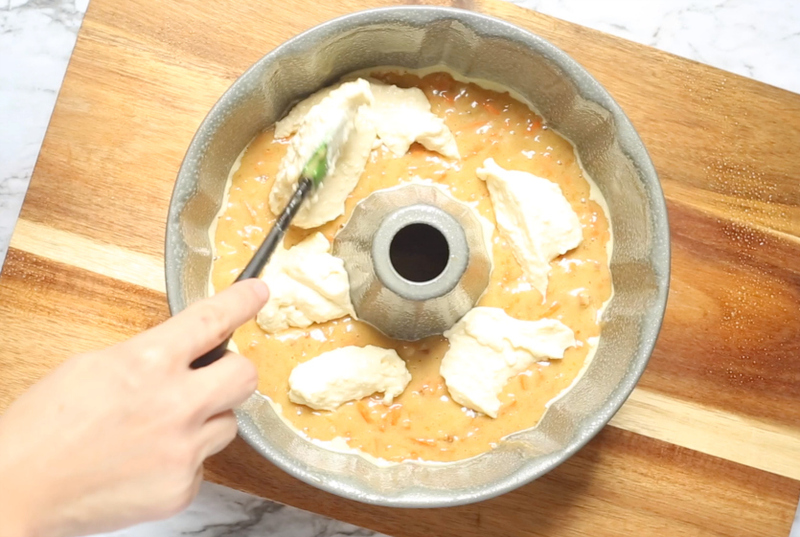 Next, drop in in all of your cream cheese mixture by spoonfuls, and swirl with a knife to give a marble look. Top with the remaining cake batter. Bake at 350 degrees for around 50 min. **Check after 40 minutes, and if the crust is getting too browned, if it is, cover with foil. Let cool 15 minutes before inverting onto a serving dish once it is fully cooked. Mix together 2 cups powdered sugar with 2-3 tbsp milk, and drizzle on top of cake as desired. is it possible to substitute the oil with applesauce and not change the taste greatly or adversally??? I have only made the cake as written, but that substitute has worked well with other cakes. If you give it a try, please let us know how it works! Can you make this without the cream cheese center? 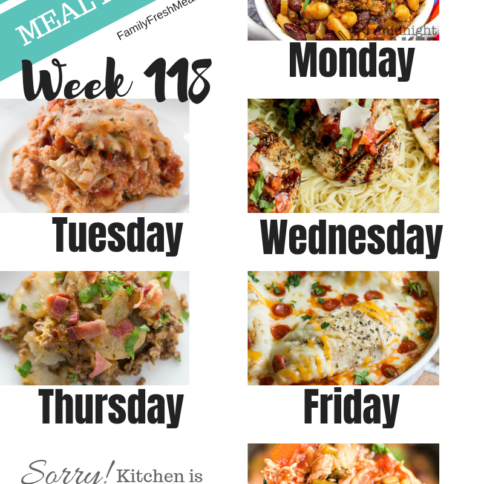 If so, would you double the recipe,? Dawn, I can’t say for sure, I’ve only made it as written so far. Is it safe to assume you mean an 8 oz brick of cream cheese?